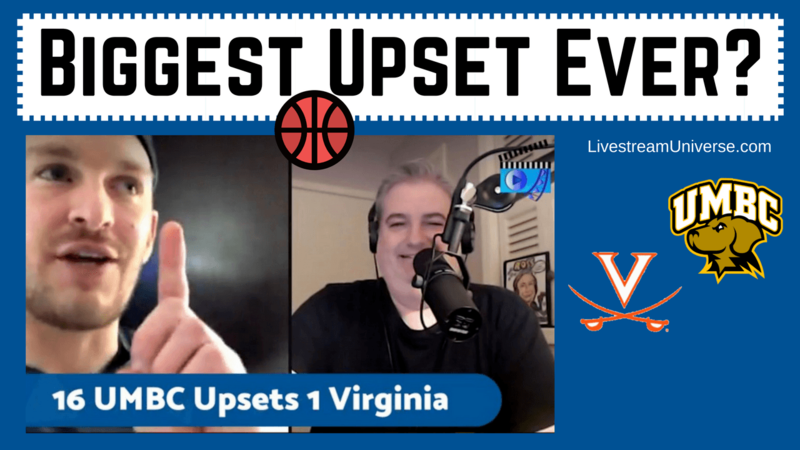 Category Archives for "Livestream Sports"
Biggest Upset in College Basketball History? Biggest upset in college basketball history? 16-seed UMBC beats number 1 Virginia. Talk about it with American East alum Chris Strub and lifelong Virginia fan Ross Brand of Livestream Universe. This special edition of #LivestreamSports was first aired live on Facebook Live shortly after the game ended. Presented by LivestreamUniverse.com. Hosted and produced by Ross Brand for LivesteamUniverse.com. Broadcast Date: October 27, 2016.